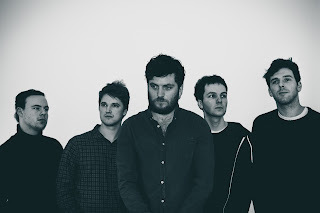 Background - With its urgent ticking drums and syncopated bass lines, ‘In Circles’ is a canny sleight of hand from London alt-rock band TALMA. Frontman Henry Adams’ vocal line pairs with guitarist James Creed’s lyrics and arrangement to create a tune which effervesces with heady romance and nostalgia. As James explains: "In Circles is about the sense of apathy we can experience when returning to a routine lifestyle after time away from it all - the everyday, the mundane. Where the loss of rhythm helps us to see what’s before us with renewed perspective, it can ultimately lead us to question it too. We all crave a sense of purpose, but affecting a change towards that offers the unknown. We then have a choice; to resign ourselves to the security of these sleepless cycles or to take a chance, step away from paths well known and chase a new sense of meaning." Late TV - Losin’ It. Background - Amidst the cultural detritus of television’s after hours rises a freaky new street beat played by London’s Late TV. Culling influences from jazz cats and art rockers, B-movies and trash television, via Lynch and Tarantino, Late TV are the moonlighting house band for a surreal all-night dream club where the intangible dance floor shifts and folds to become the set piece of a talk show beamed onto the farthest reaches of your channel selector. 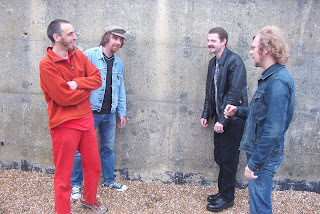 Helmed by Luke J Novak, who hails from the slabbed post-industrial backwater of Kidderminster, Late TV originates from a folk noir group formed by Luke and Richard ‘The Showman’ Bowman, a drummer whose restless search for groove quickly outgrew their genre. The Golgis - Mr Fisher. Background - The Golgis, an Alternative Folk band from the Worthing/Brighton area of the south of England, release their debut single 'Mr Fisher' on 9th March 2018. This debut single from the band is a quintessentially English slice of quirky Jazz Folk replete with saxophone solo and melody horn parts. 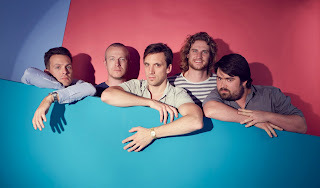 The song is an infectious and accessible introduction to the band's sound ahead of the release of their album, which is slated for release in early summer. Mr Fisher was written by The Golgis' Tony Whiting about a work colleague. Whiting cites The Beatles as the reason he first picked up a guitar and began to write songs. "Lindisfarne, Caravan, Syd Barrett and the Barrettless Pink Floyd had a lot to do with it as well" he explains. Blake Brown & The American Dust Choir - Stop Shakin'. 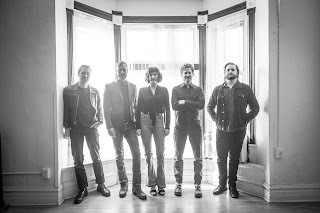 Background - Denver-based group Blake Brown & The American Dust Choir shares the first track "Stop Shakin'" off their debut LP Long Way Home. "Stop Shakin'" is about living in the moment, standing up for yourself and moving on no matter how terrifying the situation may seem. Frontman Blake Brown says of the track, “Please Stop Shake, Shake, Shakin', 'cause it's break, break, breakin' me down." It's almost as if the chorus of the song is to remind myself that we all face those situations and demons. The trick is finding a way to navigate through it and being ok with the result. Possibly admitting defeat, or at least acknowledging that an honest try was given. We have to take chances and hopefully we’re better off for doing so; even if it does rattle us." Background - Tia Gostelow will top off what has been a hugely successful year with the announcement of her debut EP Status Anxiety via AntiFragile Music on February 16, 2018, which will include her never-before-heard track, “Giants”. 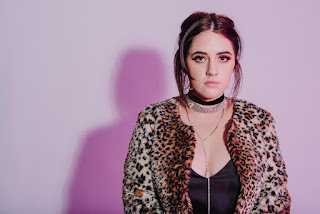 The EP will follow the 18- year- old indie rock songstress signing with the US label in 2017, along with a world wide publishing deal with National Tongue and has joining Footstomp Music/ Kandence Group Management's fantastic roster of artists. The EP will include her smash track “Hunger,” which has garnered over 500,000 streams since premiering in November, gained inclusion on multiple top playlists such as Spotify’s “Indie Arrivals,” and found its spot on Triple J’s Top 10 Most Played list in early January. Annabel Allum - Beat the Birds. 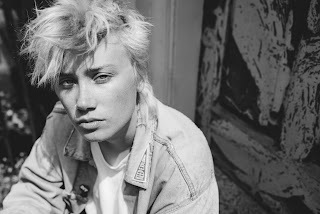 Background - Guildford-based Annabel Allum launches into 2018 with new single Beat the Birds. By turns invigoratingly caustic and charmingly lackadaisical, Annabel’s first release since the acclaimed All That For What EP came out last year is further evidence of her ability to marry folk-style storytelling with snarling fuzzy indie. Tiny Fighter - New Century. Background - Indie-pop duo Tiny Fighter are releasing their debut single New Century. 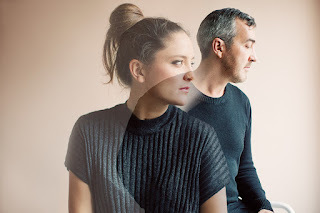 Meeting in Stockholm in 2017, this Australian/Swedish pair have quickly built a strong live reputation for mixing catchy indie-pop with darker themes and arrangements, led by the enigmatic Therese Karlsson. New Century was recorded in Los Angeles and Stockholm with Daniel Rejmer (Ben Frost, Foals, Girls Names) and extends on the more melodic moments from their previous work with bands such as Fire to the Stars and Mid-State Orange.